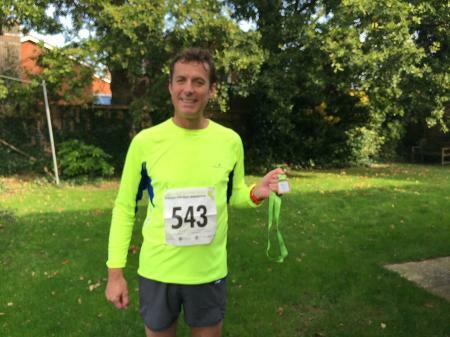 Keith Simpson is in training for his first Marathon run in 50 years!! His daughter Sophie has learning difficulties. Sophie attends a local activities centre. Phew. If you have read so far, please, please visit his collection web site https://mydonate.bt.com/fundraisers/keithsimpson1 Thank you. “The Marathon took place on Sunday 13th March starting at 08:30. It was a lovely sunny morning quite cool with little wind, perfect for running a Marathon. The course winds round the streets of Barcelona taking in some of the famous sites of the City. At 6km there is the Nou Camp the home of Barcelona FC, 14 km sees Casa Mila, the iconic building designed by Antoni Gaudi then at 16 km probably the best known building in Barcelona the Basilica Sagrada Familia. “As this was my first Marathon I started at the back of the pack of the 20,000 runners in the group expected to take over 4 hours to complete the course. My target was to complete the marathon in under 4 hours. “The last 7 km were the hardest as I had only run up to 32 km in training however I was spurred on thanks to the kind donations people had made to the Apuldram Centre and I was determined to finish. I crossed the line in a time of 3 hours 41 minutes which was a much better time than I had expected for my first Marathon at the age of 50.